Organized by Macao Government Tourism Office (MGTO) and co-organized by Civic and Municipal Affairs Bureau, Cultural Affairs Bureau and Sports Bureau, “Macao Light Festival 2018 – Time Travel in Macao” is staged in Macao from 2nd to 31st December. The Festival was unveiled by an opening ceremony at the Nam Van Lake Nautical Centre tonight (2nd December). Held for the fourth year, the Festival dazzles along routes which connect a string of new locations. There are projection mapping shows created by local and overseas teams, light installations and interactive games besides an array of new highlights such as “Food Truck x Light” and Gastronomy Night Market in line with the 2018 Macao Year of Gastronomy, a virtual reality game as well as Cultural and Creative Night Market, among others. The event is supported by the Environmental Protection Bureau and Companhia de Electricidade de Macau (CEM) this year. Secretary for Social Affairs and Culture of the Macao Special Administrative Region Government, Alexis Tam, Chief of Office of the Secretary for Social Affairs and Culture of the Macao Special Administrative Region Government, Ip Peng Kin, MGTO Director Maria Helena de Senna Fernandes, President of Cultural Affairs Bureau, Mok Ian Ian, President of Sports Bureau, Pun Weng Kun, member of the Administration Committee of Civic and Municipal Affairs Bureau, Ma Kam Keong, and Director of Board of Administration of Cultural Industries Fund, Davina Chu, officiated the kick-off ceremony to unveil a magical journey across time in Macao for the fourth edition of the Macao Light Festival. 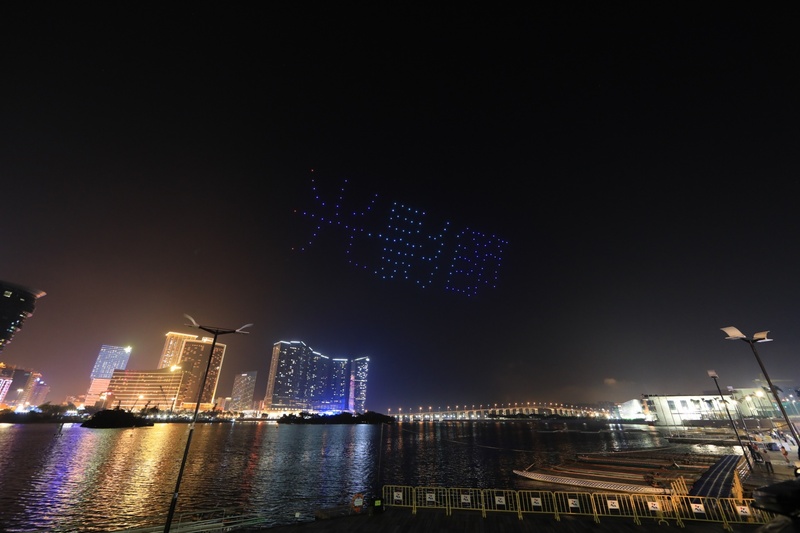 The opening ceremony of the “Macao Light Festival 2018 – Time Travel in Macao” featured a drone show for the first time. 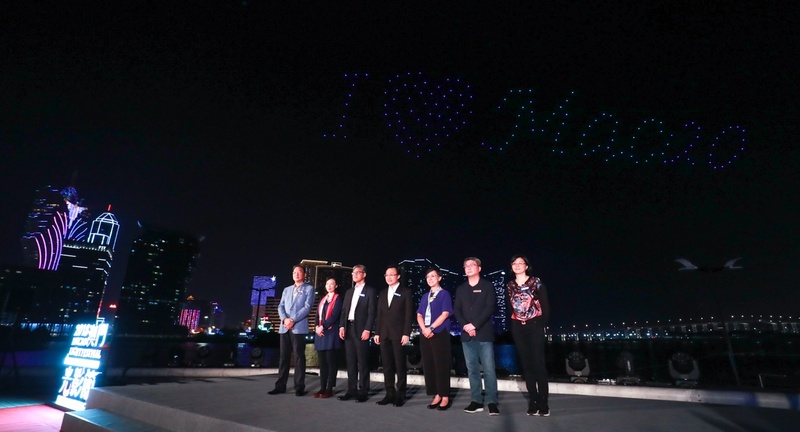 Right upon the commands of the officiating guests, 150 drones floated in the night sky and lined up into characters and patterns manifesting the characteristics of Macao, welcoming residents and visitors to embark upon a dazzling journey across time in Macao. The “Macao Light Festival 2018 – Time Travel in Macao” is staged from 7 p.m. to 10 p.m. from 2nd to 31st December (the last projection mapping show starts at 9:50 p.m. daily, while the light installations at Anim’Arte Nam Van will be illuminated until 00:10 on 31st December). Revolving around the concept of time, the Festival weaves up local elements of gastronomy, humanity, architecture, culture, creativity and other realms. The event not only manifests the city’s East-meets-West cultures, but also portrays nostalgic stories and childhood memories of Macao people, leading spectators onto a glittery journey across time and space in Macao. The Macao Light Festival covers a relatively extensive map of routes this year. There are three distinctive themed routes covering eleven locations across five districts, connecting a string of new locations and leading visitors into different local districts: A) “Play Time” passes through St. Dominic’s Church and the Ruins of St. Paul’s as well as new locations including Pátio de Chôn Sau, Rua das Estalagens, Rua dos Ervanários and Largo do Pagode do Bazar in the central district, in addition to the Camões Garden at St. Anthony’s Parish and Calçada da Igreja de S. Lázaro at St. Lazarus’ Parish; B) “Youth Time” covers the Nam Van Lake Nautical Centre and Anim’Arte Nam Van at Praia Grande (Nam Van) and Sai Van district; C) “Taste Time” passes through the Taipa Houses at Our Lady of Carmel Parish and new locations including the Taipa Municipal Market, Pak Tai Temple and the square in front of Pak Tai Temple. More gastronomic elements are added to the programme and routes of the Macao Light Festival in parallel with the “2018 Macao Year of Gastronomy”. 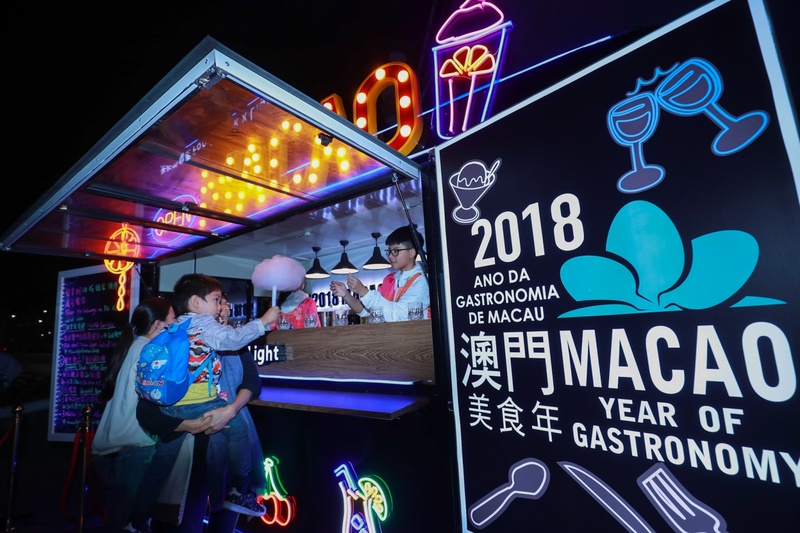 Besides projection mapping shows, interactive games and light installations showcasing the gastronomic culture of Macao, “Food Truck x Light” and Gastronomy Night Market also debut as new highlights to deliver the cross-field creativity of Macao as a UNESCO Creative City of Gastronomy. 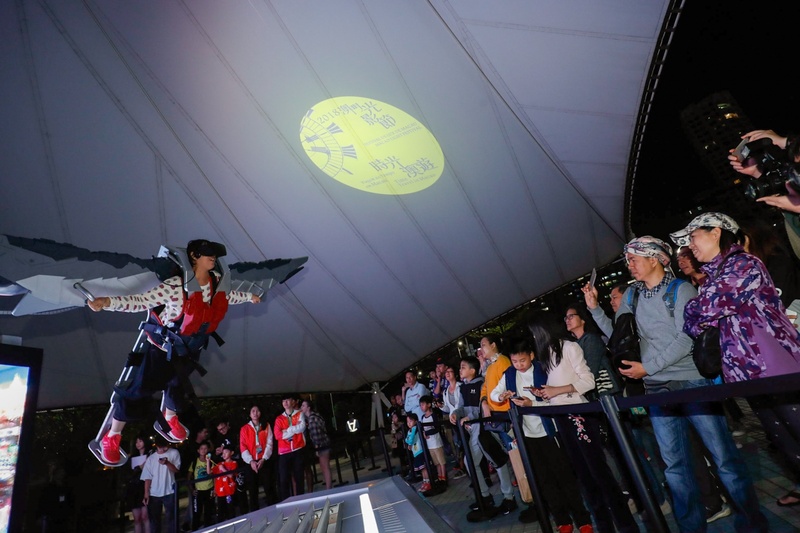 Five projection mapping shows are staged at three locations, besides an itinerant projection show at the Taipa Municipal Market. 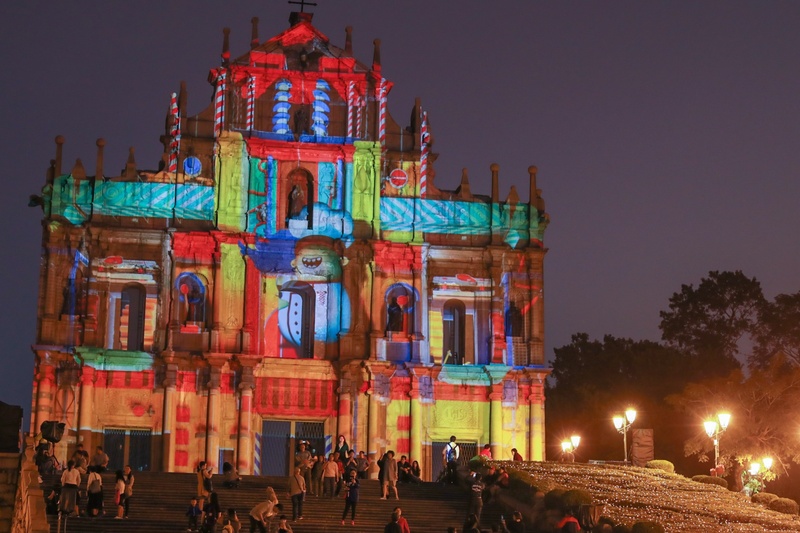 Three projection mapping shows produced by their respective teams from Portugal, Belgium and Macao are here to dazzle the Ruins of St. Paul’s at different periods. Two other projection mapping shows are meticulously created by local production entities: In “Flashing Macao” at St. Dominic’s Church, the Macao Tourism Mascot “MAK MAK” leads the audience to time travel back to the old Macao before returning to the present and venturing into the city of the future; “Search for the Taste of Memory” at the square in front of Pak Tai Temple opens the eyes of the audience to local dining culture and habits in different decades, thereby manifesting preservation and renovation of the gastronomic culture of Macao as a Creative City of Gastronomy; the itinerant projection show at the Taipa Municipal Market, “Taste Buds Surprise”, showcases the diverse cuisines of Macao in a splendid feast. Launched for the first time, “Food Truck x Light” offers illuminated drinks and souvenirs for redemption. The public can complete different designated activities in exchange for luminous drinks, cotton candy and lovely souvenirs at food trucks parked at three locations. The Gastronomy Night Market also unfolds with local signature delights at the square in front of Pak Tai Temple as another new highlight. Information stations are set up along the three routes to provide information about the Light Festival and offer souvenirs for redemption. 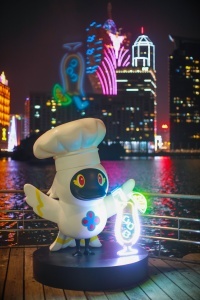 Residents and visitors can take photos with the Macao Tourism Mascot “MAK MAK”, who appears along the three routes in a total of 14 image styles around the theme of Christmas, chef and gastronomy. Welcoming locals and visitors to join, one of the activities requires participants to look for “MAK MAK” along the routes, take pictures with it and complete the required steps in exchange for souvenirs. The event brings together an array of interactive games and light installations designed to enchant the audience and enhance their participation. Route A features “Rhythm Time”, “Nostalgic Hopscotch”, “Macao Cloud”, “Fluorescent Staircase” and “Future Mailbox”; Route B features “Glowing Rabbits”, “Space-time Hot Air Balloons” and “Fly over Macao．VR Experience”; Route C features “Cyberbike”, “Wall of Times”, “Light up 2018”, “Color Wave Tree” and “Yummy Fun Share”. 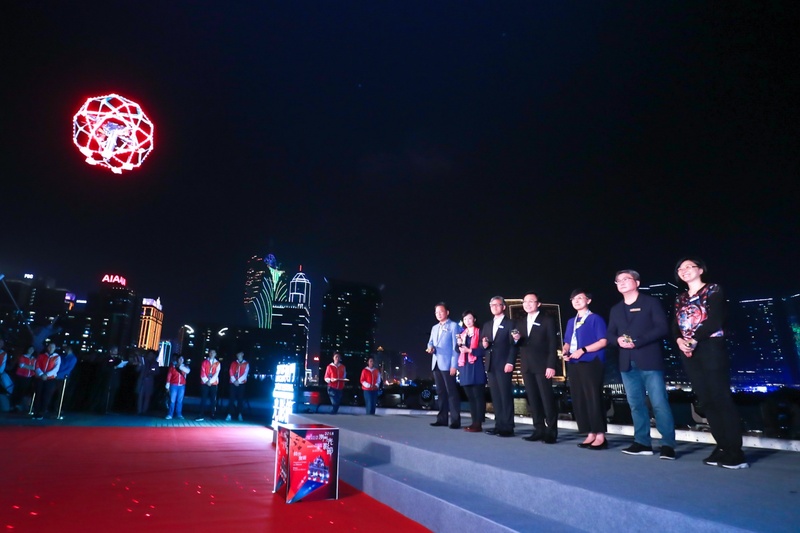 Among the above, “Fly over Macao．VR Experience” at the Nam Van Lake Nautical Centre gives participants their first virtual reality experience in the Macao Light Festival. Participants can soar above Macao and enjoy a panoramically scenic flight by putting on the VR goggles and robotic arm. The Macao Light Festival unfolds its first Cultural and Creative Night Market at Anim’Arte Nam Van, the local hub for culture, creativity and leisure. In addition, Outdoor Local Concert is staged every Friday, Saturday and Sunday during the period, creating exchange opportunities in the field and showing Macao’s cultural and creative industries to visitors from around the world. The Macao Light Festival 2018 mobile app provides route navigation, programme, augmented reality, “Future Mailbox” interactive game and food coupons. The public can download the mobile app on App Store or Google Play for free. They can also obtain information about the Festival via MGTO’s official WeChat ID, the Facebook page of “2018 Macao Light Festival”, Instagram account “macaolightfestival2018” and Weibo account about the event. Please visit MGTO’s website: www.macaotourism.gov.mo for more information about the Macao Light Festival as well. In parallel with the key goal to enhance the diversity of tourism products and experiences as proposed in the Macao Tourism Industry Development Master Plan, MGTO continues to stage the Macao Light Festival in the city, merging light artistries with a palette of local elements from history, culture and creativity to other realms. The goal is to present a diversity of events and a wider choice of nighttime entertainment for residents and visitors, to enrich visitors’ travel experience and extend their length of stay in Macao. The Office will strive to forge the Macao Light Festival into an international event through continuous optimization of the light artistries, in support of the development direction mapped out by the Five-Year Development Plan of the Macao Special Administrative Region to push forward cultural tourism and create a paradigm shift towards mega integration across the tourism industry, in turn advancing the city’s transformation into a world centre of tourism and leisure.